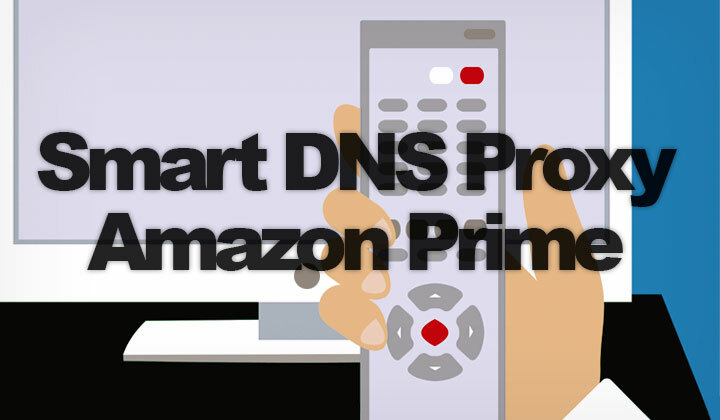 In this post, I’ll explain everything you need to know about streaming various country locations of Amazon Prime from abroad by using the Smart DNS Proxy service. How it works with Amazon Fire TV Stick & other better alternatives! Just want to try out watching Amazon Prime? Click here for a free trial of Smart DNS Proxy without credit card! This is one of the best ways to circumvent location restrictions of Amazon Prime. Namely, when you are living or traveling abroad in a country outside of the Amazon Prime country that you want to watch, like US, UK, Australia, Canada, etc. To unblock Amazon Prime, this is also one of the cheapest and fastest ways. But it doesn’t come with it’s downsides. Let’s have a look! Australia, Canada, Denmark, France, Germany, India, Italy, Japan, Spain, United Kingdom and United States. This only excludes Austria & Singapore. Select the Amazon Prime region to use. When you access Amazon Prime, you will appear as if you are coming from the selected region. You need a seperate Amazon Prime subscription for each region. 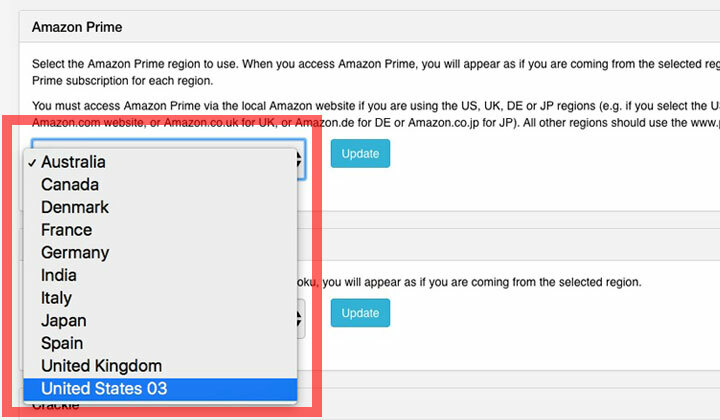 You must access Amazon Prime via the local Amazon website if you are using the US, UK, DE or JP regions (e.g. if you select the US region you must use the US Amazon.com website, or Amazon.co.uk for UK, or Amazon.de for DE or Amazon.co.jp for JP). All other regions should use the www.primevideo.com website. Most likely, the support for various country locations of Amazon Prime is the best and most extensive amongst all other Smart DNS providers. With Smart DNS Proxy, the downside is that you have to manually set up the DNS. For each supported device, you have detailed instructions here. However, the list is extensive if you are looking to support a specific device. Such as Amazon Fire Stick, smart TVs, game consoles, etc. Windows (7, 8, 10, Vista and even XP), Chromebook, Mac (macOS) Linux (Ubuntu, Debian, etc. ), desktop PCs and laptops. iPod, iPad, iPhone and Android mobile devices. LG Smart, Panasonic, Samsung, Sony Toshiba smart televisions. 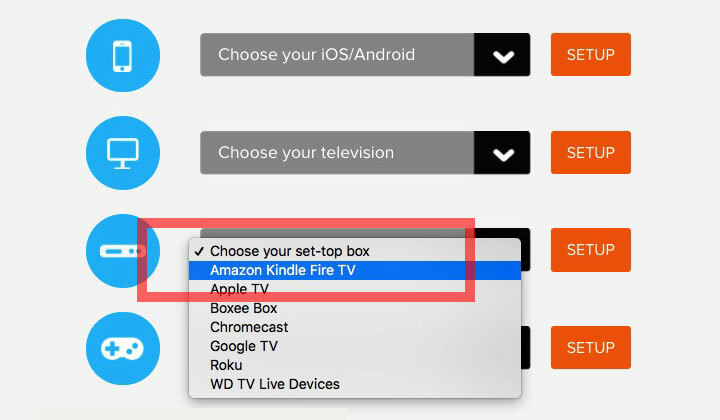 Amazon Kindle Fire TV, Apple TV, Boxee Box, Chromecast, Google TV and Roku set-top boxes (contact support for more). Play Station 3, 4, PS Vita, Wii, Wii U, XBOX 360 game consoles. On top of that, I really think one of the strong points of Smart DNS Proxy is their level of support. Get 24/7 live chat access to knowledgable staff that can assist you if Amazon Prime is not working, or you cannot figure out the configurations. And it’s very likely that you need support at some point! Although Smart DNS technology is often faster, and most VPNs get easily blocked by Amazon Prime. Choosing the right VPN can be a good option. VPN locations on all Amazon Prime countries (Australia, Austria, Canada, Denmark, France, Germany, India, Italy, Japan, Singapore, Spain, UK, US). Dedicated support for Amazon Prime, by checking for VPN blocks and unblocking them as necessary with fresh new IP addresses. Extensive network with huge number of IPs and multiple servers per country location for increased reliability, and selection. I would recommend VPN over Smart DNS for those who are located near enough to their desired Amazon Prime location. Let’s say connecting within Europe, or between USA & UK, Canada & USA, Singapore & India, etc. Connections between Europe and Australia for example are not fast enough, even with a quality VPN. This is my favorite Smart DNS provider. And they are so much easier to use than Smart DNS Proxy, with a simple connection client where you can turn Smart DNS on and off with a click of a button. No other DNS provider has this VPN-like usability. However, they support Amazon Prime in US & UK locations only. As well as “Amazon FreeTime Unlimited” in the USA. Definitely worth checking them out too! And that’s the essentials on how Smart DNS Proxy works by circumventing country locations and unblocking Amazon Prime. Also with Amazon Fire Stick! Enjoy online video streaming, and if you run into any problems..
or have questions. You’ll find the comments section below. Thanks for reading. Kind regards, David.